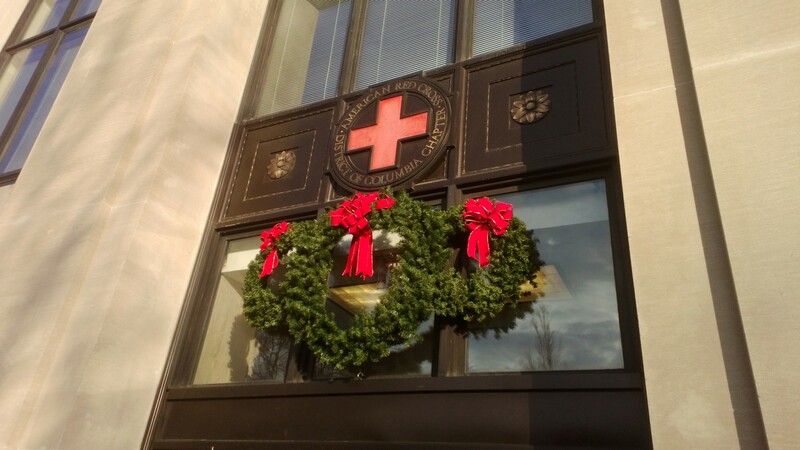 Just before leaving for the Christmas break in Finland, I participated in an Adult & Pediatric First Aid, CPR & AED class, naturally organized by the American Red Cross. The previous time that I took a first aid class must have been in the mid 90s, so it was about the time to refresh my knowledge and learn the latest guidance. I was also curious to see if there are any differences between first aid training in Finland and the US. Additionally, the legislation was of interest to me. Lawsuits and liability issues are such a big deal in America that it must have an impact on the first aid protocols as well. Indeed, the class started by addressing legislation. I learned that in DC a Good Samaritan law offers legal protection to people who give reasonable assistance to those who are injured, ill, in peril, or otherwise incapacitated. As long as you act in good faith without expecting anything in return, use common sense, do not exceed your capabilities, and ask the patient for a permission to help, you’ll be fine. (If the patient is unconscious or otherwise unable to respond, the permission to help is implied.) These are the rules in DC, but there are states where people trying to help can be held liable in case something goes wrong. This understandably but unfortunately discourages people from getting involved in emergencies at all. In Finland, the logic is very different: The Finnish Rescue act explicitly stipulates “a duty to rescue as a general duty to act and engage in rescue activities according to their abilities“. In other words, back home the possible crime is not trying to help rather than not being successful in helping. Having covered the legal issues, we spent the rest of the day practising standard first aid procedures and learning about different kinds of emergencies one may come across. The list of types of injuries and illnesses that we managed to cover was surprisingly long: seizures, strokes, heart attacks, fractures, bleeding, poisoning, choking… The steps to be followed in case of an emergency were repeated over and over again to develop a routine: check the scene for safety, check for responsiveness of a person who appears to be unconscious, call 911, open the airway and check for breathing, scan for severe bleeding and then give care based on the conditions found. One of the highlights was naturally training CPR both with adult and baby manikins. In the current guidelines, the cycles of CPR consist of 30 chest compressions followed by 2 rescue breaths. This had clearly changed since my previous first aid class. Also the use of gloves and breathing barriers was highlighted much more than I remember having been the case in the 90s – which is of course good for the safety of the person giving first aid and CPR. 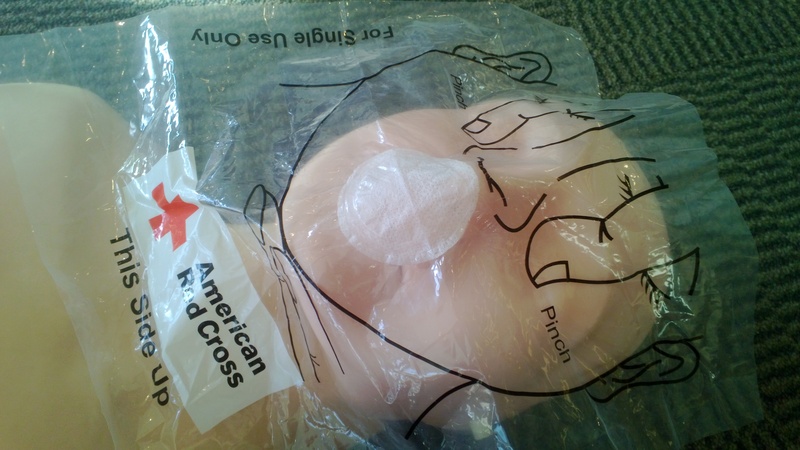 Then again, one thing that had not changed at all was the fact that all the CPR training manikins are still called Anne! 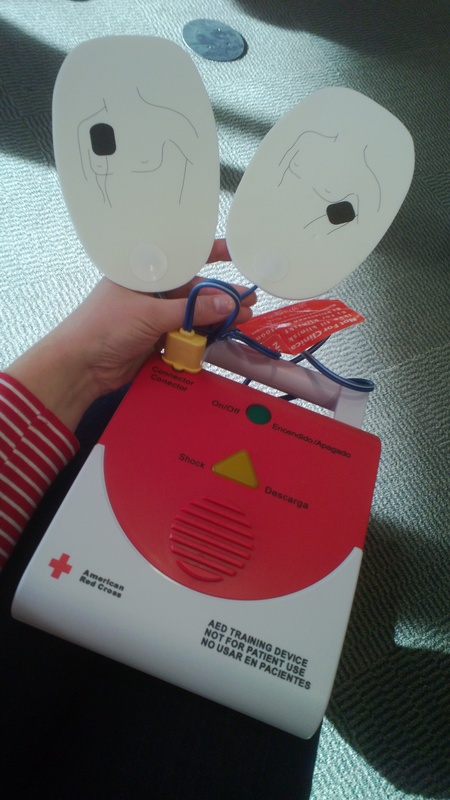 Another highlight of the day was getting introduced to AED. That was totally new for me, and before the class I did not even know that the abbreviation stands for Automatic Electronic Defibrallator. For some reason I had had a very mystified mental image of defribrallators. Now I know that there is nothing mysterious about them. They are actually pretty simple devices with only a couple of buttons and two sticky pads. The device even gives voice instructions on what to do. I would claim that defibrallators are actually much simpler and easier to use than navigators, avalanche beacons, or even just smartphones, so no one should be afraid of using a defibrallator. Of course it still makes a huge difference to have had practised using one before a real emergency. It is amazing how much one can learn in only 7 hours. Ideally first aid, CPR & AED skills are something to be practiced on a regular basis of course, and there is always more to learn. Regardless, even in just one day you can learn so much of the basics that you already have a great chance to save someone’s life. In just one day! Hence I strongly encourage all of you to include a first aid class to your new year’s resolutions. You can sign up through this link in Finland and through this one in the US. I promise to buy a beer or another drink of choice to anyone of you who completes a class before May 1, 2014.